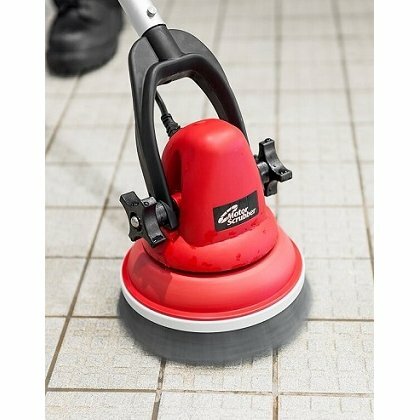 The MotorScrubber MS2000 is a battery operated 8inch scrubbing machine designed for cleaning all those areas where the larger machines can’t reach. 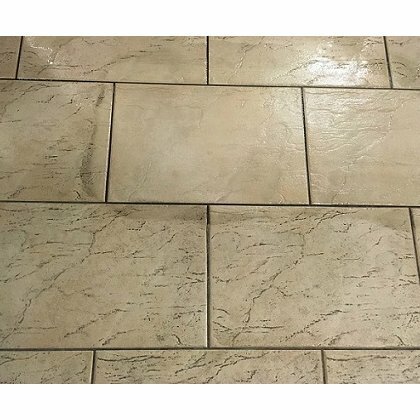 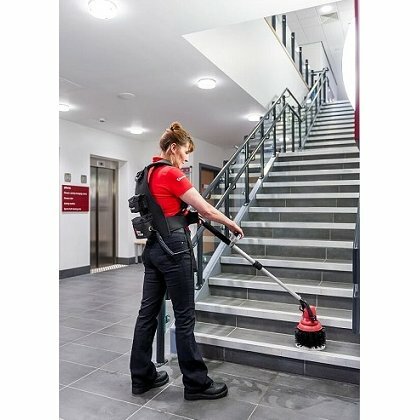 Cleaning high and low – inside and outside. 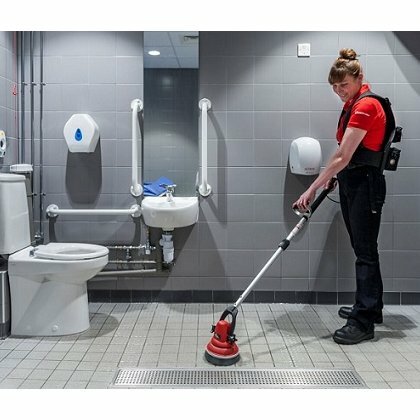 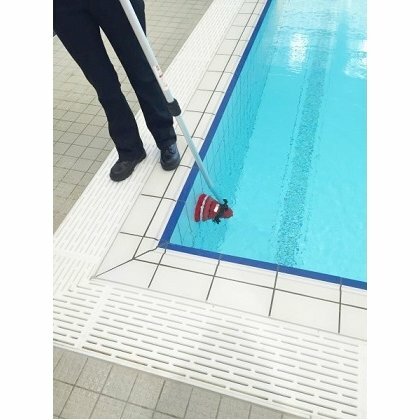 MotorScrubber makes its way anywhere – without mains cable. 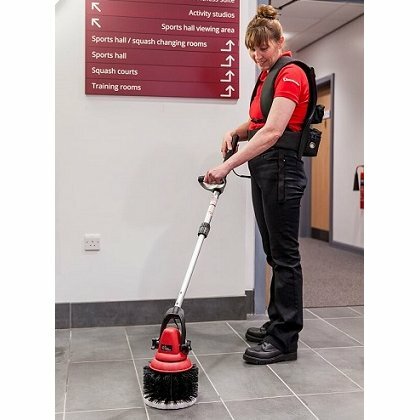 A battery worn around the waist in a harness giving up to 4 hours run time. 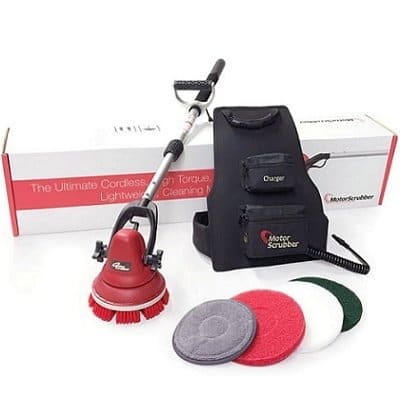 Supplied with a short handle or 2 lengths of telescope handle with approx 5 meter range. 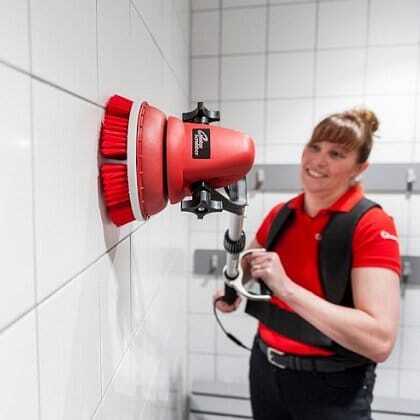 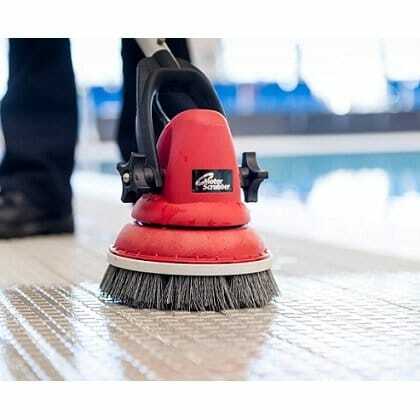 Mounted with brushes or pads for any cleaning job – inside or out.